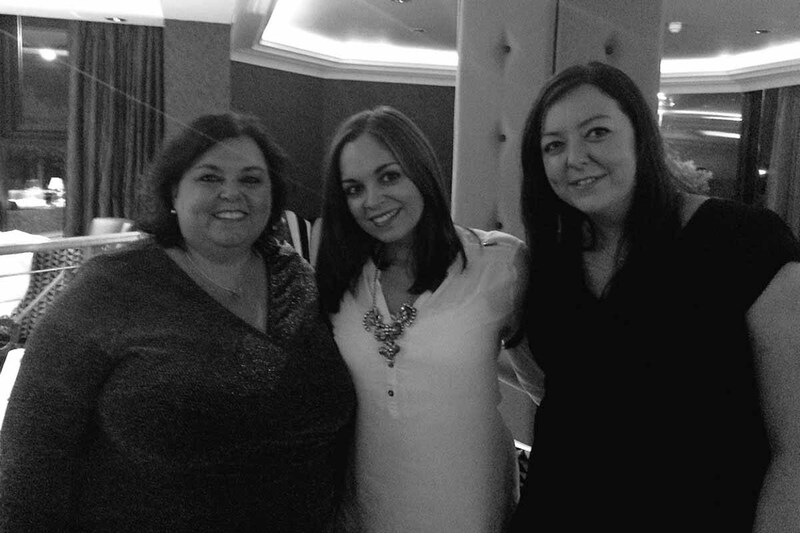 Last week (Friday 9th October) we attended a media preview of the new Marco Pierre White Steakhouse Bar & Grill at the Park Avenue Hotel, Belfast. It’s a real statement of intent both for the hotel and the local area to have the famous Marco Pierre White (MPW) associated with Park Avenue in East Belfast. While we didn’t get to see the whole interior of the hotel, the fact it has evolved from modest 2 star to boutique 4 star is testament to Mandy Patrick, the third generation of this family owned hotel which has been in business since 1959. We met Mandy and her daughter Katriana on our way in and you could get a real sense of pride in opening the restaurant, and indeed a pride for everything they have done with the hotel in recent years. As Mandy took to the floor to say a few words as the diners took their seats, you could tell this was the beginning of a new era for the hotel, one in which Katriana will play a big role as the fourth generation of the family run business. It really is a family affair as head chef in the restaurant is Mandy’s husband,Eddie Patrick, who shared with us the story of his intense training sessions at MPW headquarters in the build-up to the launch. Even the butchers who supply the meat to the restaurant are a cousin of Mandy’s, highlighting the real family feel to this hotel. As the restaurant is a steakhouse, the butcher will no doubt play a big role in its success in coming months. 9 October 15 – Picture by Darren Kidd / Press Eye. 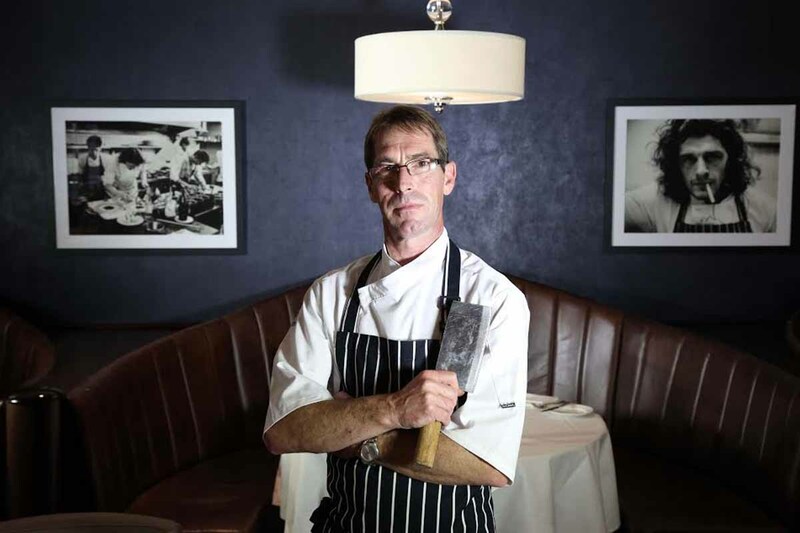 Having the internationally recognised Marco Pierre White name attached to the hotel will give it a big chance of competing in Belfast’s growing and vibrant restaurant scene. With food locally sourced in Northern Ireland, and prices considerably cheaper than other MPW restaurants in the UK (and Dublin), the restaurant is positioning itself at the higher end of the local restaurant market but affordable at the same time. So enough about the restaurant, let’s get down to the important topic – the food. Restaurants live and die by their food and service and this preview night had a sample menu which certainly got our taste buds excited. Here’s a review of some of the food we enjoyed on the night. To start there was a sample of two platters on offer at the restaurant, the aptly named land and sea. 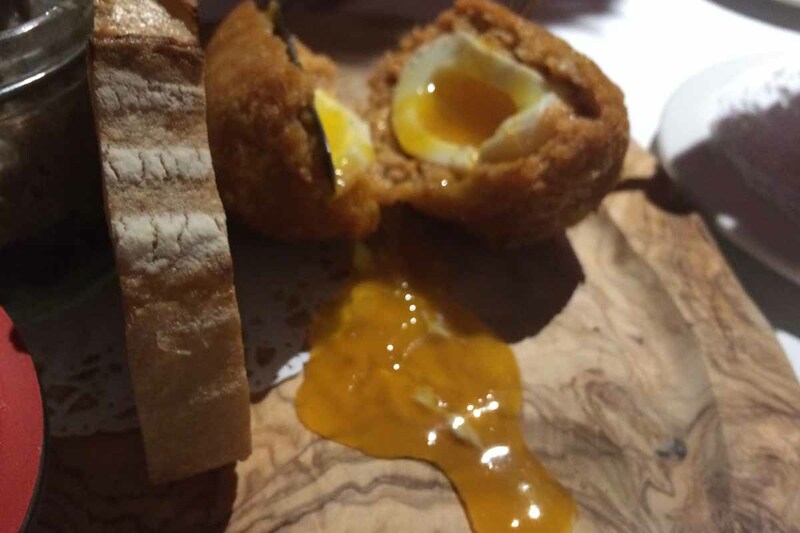 The land platter included boiled ham en gelee with parsley, duck rilette with prunes d’Agen, a free-range crispy scotch egg and homemade piccalilli. 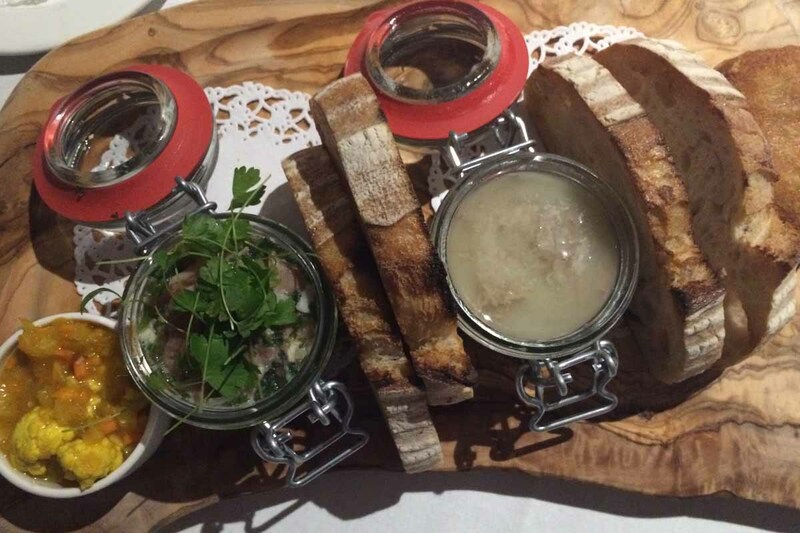 The sea platter included a brandade of smoked mackerel with fresh horseradish, Michel Bourdin’s kipper pate with whiskey, and a smoked trout tartare with Melba toast. We also had some homemade sourdoguh bread on the side. Overall the platters certainly impressed us with the duck rilette and scotch egg particularly hitting the spot from the land dish. The kipper pate was a winner on the sea platter and the smoked trout tartare was something that we really enjoyed, much to our surprise as we’re not huge tartare fans. With starter out the way, next up was the main course and there were three options available – ribeye steak and chips, grilled salmon and chips or the vegetarian option of gnocchi primavera with spinach, asparagus and Parmesan cream. Steak is a core theme of the main menu for the restaurant and as it’s a steakhouse it was only right to try it out here. Again, it hit the spot and the side of peppercorn sauce was very tasty indeed. 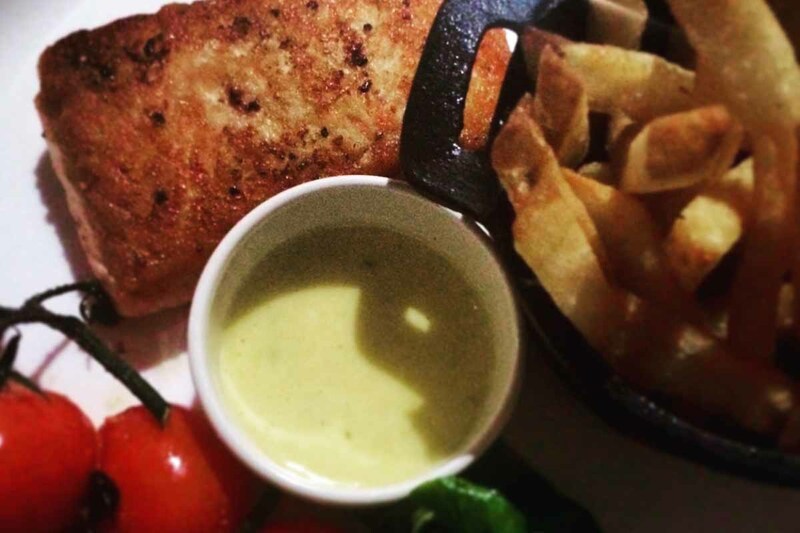 Helen decided on the grilled salmon and gave high praise indeed claiming it as the best salmon she’s every enjoyed. 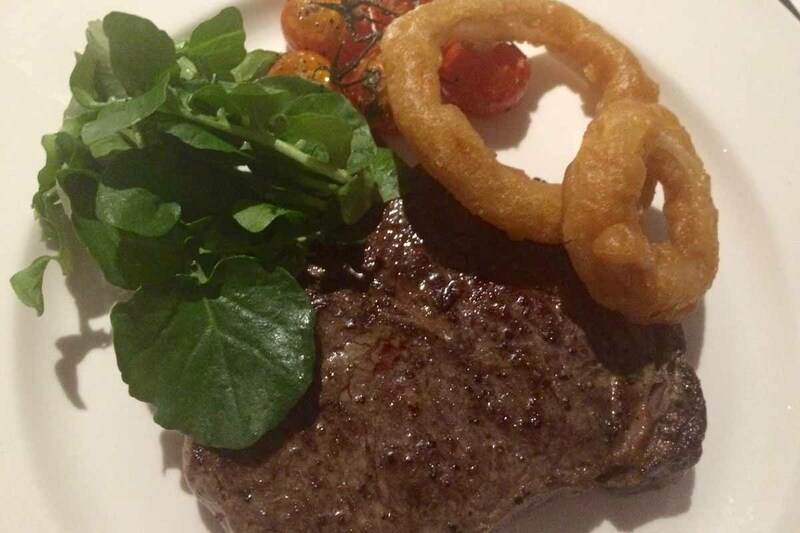 We were both very much impressed with the food and the fact the kitchen team got so many main courses out at the same time with the same consistency is a credit to the level of the standard of food that will now be expected at Park Avenue. The last dish of the night was a trio of desserts, but not your standard trio. 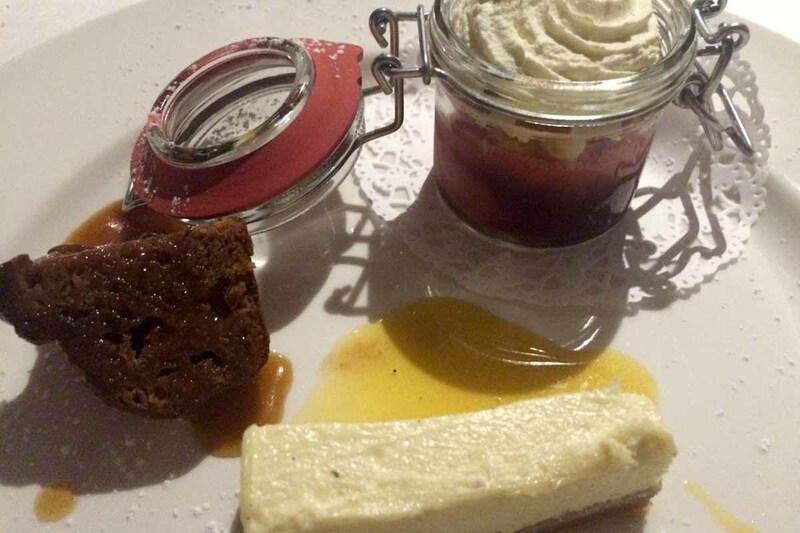 Baked cheesecake, sticky sticky sticky toffee pudding (it was pretty sticky) and a Knickerbocker glory is not your standard trio of desserts and it was s huge success. Regulars to the blog will know we both have a bit of a sweet tooth, so perhaps unsurprisingly the star of the show was in the dessert dish, but not the course you may be thinking! The Knickerbocker glory was truly spectacular and the dessert as a whole was a wonderful highlight, and a great way to end the night. 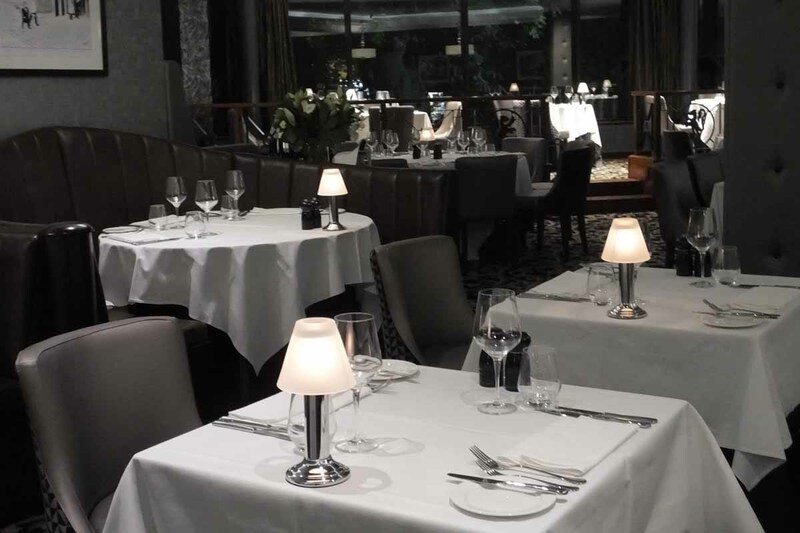 We were left more than impressed by the decor, service and food at MPW Belfast, while the Patrick family behind the restaurant and hotel, come across as the sort of people you want to see do well. There’s no doubt the guys have taken a big risk and invested a lot of time and money on bringing the Marco Pierre White brand to Belfast, but if opening night is anything to go by, we’re sure it’ll be a big success. The restaurant is now open to the public and we’d highly recommend getting along to try it out. We’re already looking forward to our next dining experience. 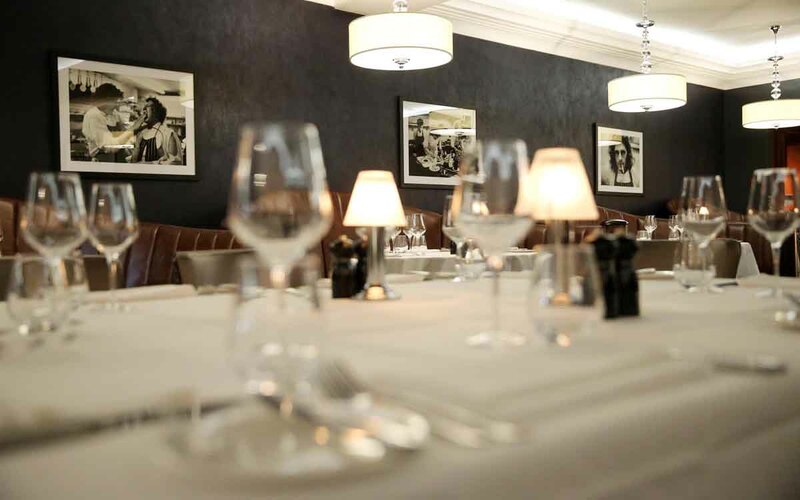 You can find out more about Marco Pierre White Belfast here. or by visiting the Park Avenue Hotel website here.